Samantha Mendias is drawing her future one stroke at a time. She came to Tucson High because of her love for creative arts, namely drawing and graphic design. Samantha has her own graphic design tablet at home that she uses constantly. 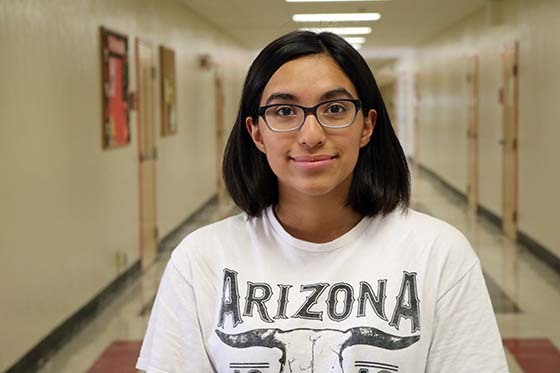 While Samantha is still taking arts in high school, she is excited at the prospect of joining clubs and learning new things at Tucson High. Though her future plans are always changing, Samantha is interested in potentially becoming a parasitologist, which has been spurred from her interest in the TV show Monsters Inside Me.